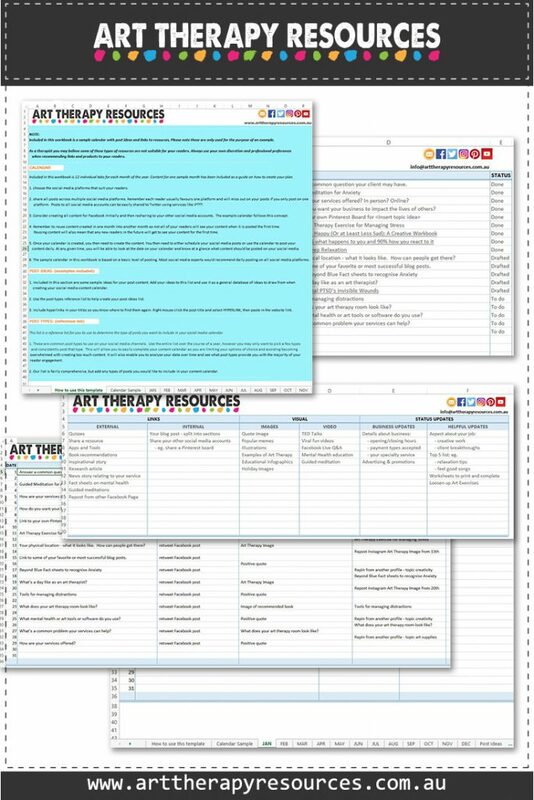 In your art therapy business, you will find yourself undertaking many projects that are outside of your therapy sessions. 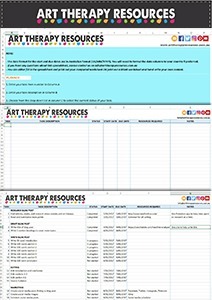 These projects can include setting up admin procedures, building an online presence and marketing your art therapy practice. Projects can also include work that is directly related to your art therapy skills such as establishing a workshop or writing a book. These projects involve many steps to complete the entire project. You may have a simple goal to advertise on Facebook, however, this project involves many different components including creating images, writing sales copy and constructing the end result of your marketing campaign. Furthermore, each of these steps also has smaller steps to complete. Once you have a project that entails multiple steps to be completed, you can benefit from undertaking some simple planning. The depth of your planning will depend on the size of the project. For example, planning to write a blog post is a smaller project than writing a book. Project planning can become a complicated process if your project is lengthy with multiple outcomes. However, many of the projects you will undertake as a private practice therapist will be completed by only you and therefore should be simplified as much as possible to ensure you can complete it with your limited time and budget resources. What is my goal for this project? What resources do I need to complete this project? Once you’ve answered these 3 basic questions, you can then further define the steps involved in your project. To illustrate how to plan for a project, we’ve included an example below. 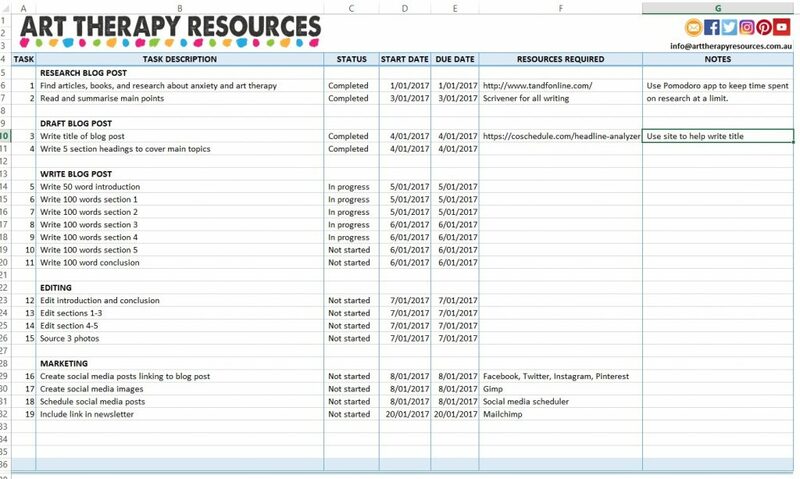 Included in this blog post is a FREE planning template download which will be used as part of the planning example. 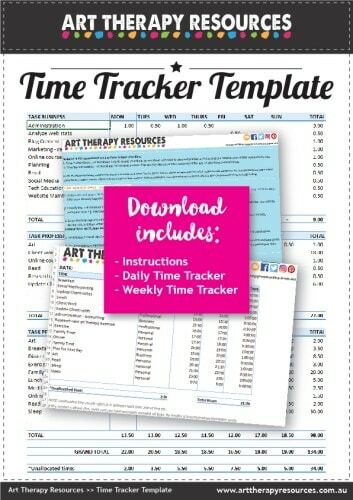 When you download the FREE template, all of the sample information will be included in the template so that you can use it as a guide. The FREE template is an Excel spreadsheet. The ways in which Excel can be used for business planning is endless. 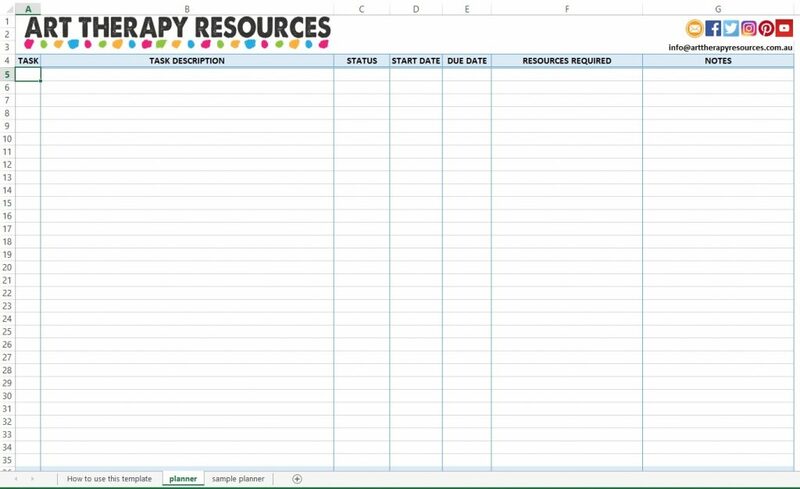 A significant benefit of using excel is the extensive catalogue of free templates that you can download and use. You can view some of the FREE templates here. ￼Excel is available for use on a variety of platforms including desktop and tablets. For the purposes of this example, we’re using a project planner we’ve created in Excel. 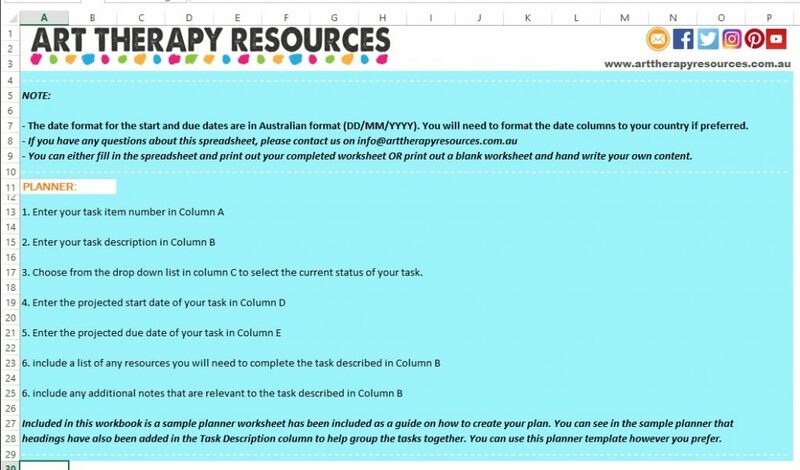 A planner worksheet filled with sample data. What is my goal for this project? – To write a blog post about anxiety and art therapy. Minimum 500 words. The example above is a detailed goal of one blog post. You could also scale the size of your goal to be: write 10 blog posts for my website and then use your planning template to plan out the entire 10 blog posts. Your start and end dates will be based on your previous experience if you’ve written blog posts before, or, if you haven’t written blog posts before, use a guestimate. Once you’ve done this exercise a few times you will start to work out your own benchmark of time that it takes to write a blog post or complete your project. The status column is essential in keeping you on track. Having a visual snapshot of the tasks you have completed helps motivate you to complete more tasks and finalise your project. It also provides a quick snapshot of your progress on a project in case you have to stop working on your project temporarily and resume your tasks at a later date. Having all of your tasks listed in detail with a status attached will help you easily get back to work instead of wasting time on finding what you were working on last time you were working on your project. You can use this Excel spreadsheet to directly enter in your tasks and deadlines or you can print out a blank sheet and write in your details by hand. Keep this template on hand for each time you start a new project so that your mind is primed to go into productivity mode. 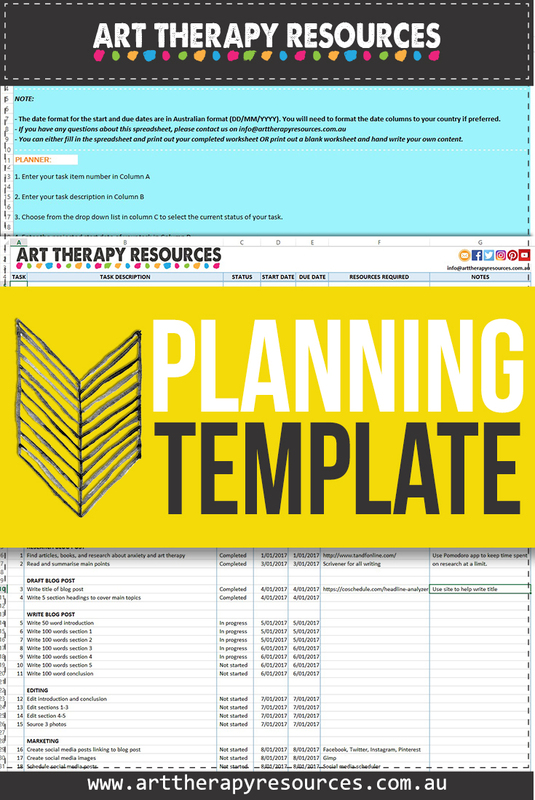 SIGN UP below to download the FREE Excel Planning Template to use for your next project.